AUGUSTA — Leaders of Maine’s Indian tribes described the 37-year-old agreement between the state and tribal governments as “fractured and broken” during a meeting Thursday with lawmakers that highlighted longstanding tensions over sovereignty. The five chiefs of Maine’s tribes – the Penobscots, the Passamaquoddies at Indian Township and Point Pleasant, the Aroostook Band of Micmacs and the Houlton Band of Maliseets – as well as dozens of tribal members gathered at the State House for a presentation on a report examining the 1980 agreement to resolve land claims against the state. Nearly 40 years after Congress approved the Maine Indian Claims Settlement Act, the tribes and state are still battling in the courts or at the State House over water-quality standards, sustenance fishing rights and other issues. 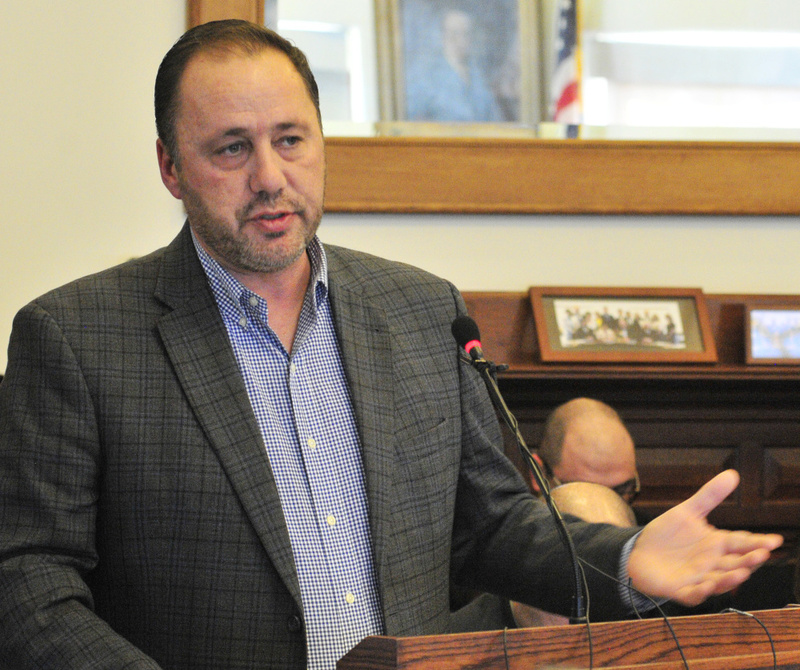 Speaking to members of the Legislature’s Judiciary Committee, Penobscot Chief Kirk Francis said the settlement was intended to be a “modern-day treaty” that would promote tribal self-government. But in the tribes’ view, the federal settlement and accompanying Maine Implementing Act adopted by the state have “failed” as the state regularly attempts to assert jurisdiction over tribal matters. Yet those tensions bubbled to the surface after committee members asked about state funding to the tribes or to the Maine Indian Tribal-State Commission, the 13-member intergovernmental panel created by the 1980 agreement. Chief Bill Nicholas of the Passamaquoddy Tribe at Indian Township said such questions are belittling. And tribal members broke out in applause when Nicholas said he and others in the room would gladly pay back any state money given to the commission. Nicholas also accused the state of ignoring tribal fishing rights, alluding to what has become an ongoing flash point between the Passamaquoddies and the state: access to Maine’s lucrative elver, or baby eel, fishery. The differing views on tribal sovereignty in Maine apparently go back to the crafting of the 1980 agreement, according to the new 42-page report by researchers at the Indigenous Peoples Rights Clinic at Suffolk University in Boston. The state treated tribes more as municipalities that are “arms of state government” rather than the “foundational federal Indian law principle of inherent tribal sovereignty,” the report states. The report also calls attention to a clause – inserted just days before Congress voted and without public debate – that essentially says any federal laws adopted after 1980 that benefit tribes or tribal members do not apply in Maine. 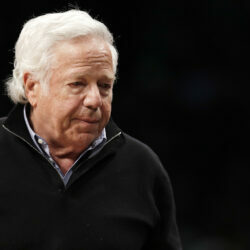 Nichole Friederichs, one of the researchers and authors of the Suffolk University report, said such a preemption clause is “uncommon,” and there is little documentation showing the rationale. The federal principle of “tribal sovereignty” has only been strengthened since 1980, the authors wrote. The report recommends that those principles guide any future discussion in Maine on addressing conflicts over the settlement and addressing the “strained” relationship between the state and tribes. In addition to access to the elver fishery, Maine’s tribes have clashed with the state over reservation boundaries, environmental regulatory authority and tribal courts. For instance, the tribes have fought unsuccessfully to allow tribal courts to try non-members who are accused of domestic violence or sexual abuse on a reservation, consistent with a federal law allowing such trials in tribal courts. As tribal-state relations soured in recent years, Maine’s tribes forged stronger relationships with officials in the Obama administration and increased their legal and lobbying presence in Washington, D.C. The U.S. Department of Justice helped to represent the Penobscot Nation in a federal court case arguing that the tribe’s reservation boundaries extended “from bank to bank” in the Penobscot River. A federal judge rejected that argument, agreeing with the state that the Penobscot reservation includes specific islands within the river but not the water flowing around them. Meanwhile, Maine Attorney General Janet Mills is suing the U.S. Environmental Protection Agency over its decision to impose tougher water-quality standards on certain waterways. The EPA argues the stricter pollution standards are necessary to protect the health of tribal members who eat more wild-caught fish as a result of exercising their sustenance fishing rights. But Mills’ office, which has repeatedly clashed with the tribes over sovereignty issues, argues the EPA is merely causing confusion that could harm the economy. Mills’ office had not yet read the Suffolk University report and declined to comment. Chief Francis of the Penobscot Nation said the tribal courts issue is emblematic of the “breakdown” of relations with the state given that the majority of domestic violence against native women is committed by non-tribal members. But tribal members also face a host of other educational, health and economic issues – earning, on average, $25,000 less than the average Mainer – that Francis said the state is not helping to address while asserting jurisdiction over tribal affairs. In 2015, the Penobscot and Passamaquoddy tribes withdrew their elected but non-voting representatives to the Legislature to show their frustrations with Augusta. The Penobscot Nation has formally vacated the seat and will soon designate an “ambassador” that will represent the tribe in Augusta and Washington, D.C.